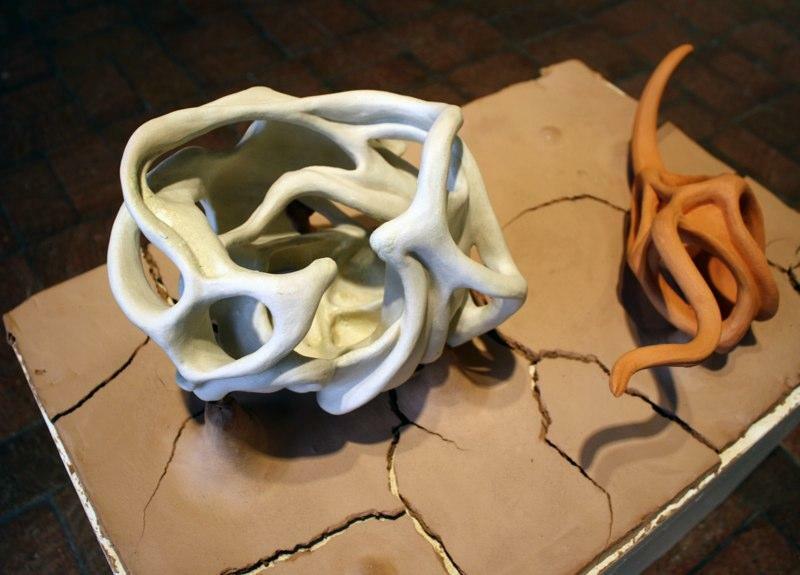 The sculptural ceramic works in this series are inspired conceptually and visually by neurobiology. In the abstract, they examine the relationships between individual neurons. 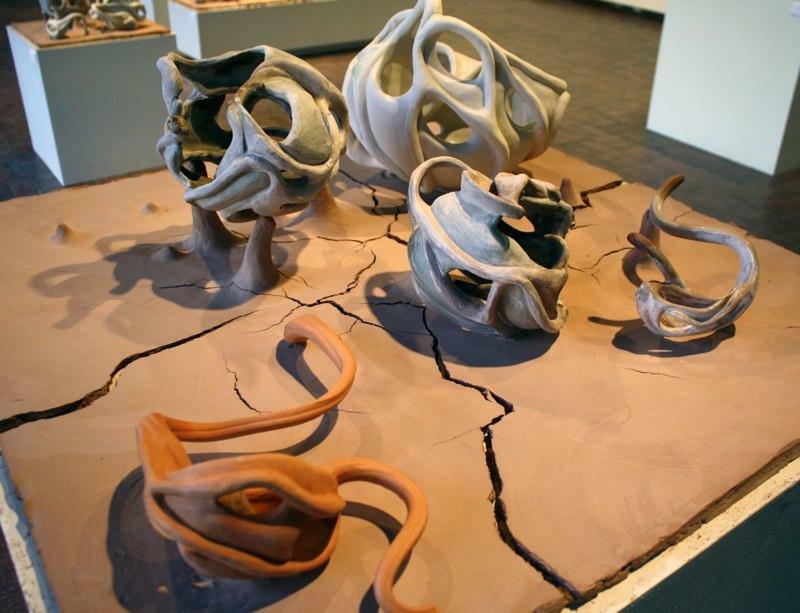 The arrangements of sculptures rest on raw, unfired clay that cracks and changes as it dries. 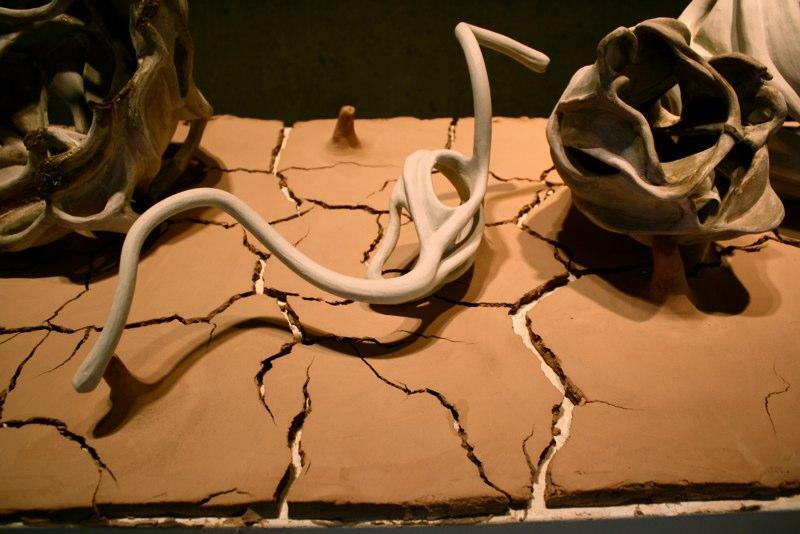 In the brain, growth is as much a matter of creating new connections as letting go of the ones that no longer serve us.